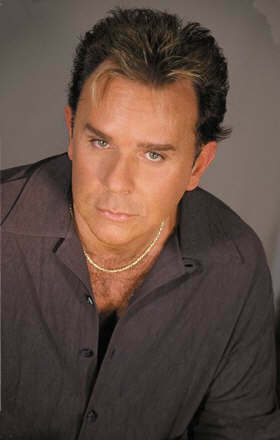 Born Lugee Sacco in Glen Willard, Pennsylvania in 1943, Lou Christie first gained fame in early 1963 with "The Gypsy Cried," which hit the U.S. Top Forty and became a million-seller. Prior to this, Lou had sung with the vocal group The Classics in 1960, and had recorded as Lugee & the Lions the following year. In 1963, the former choirboy and classical music student began his association with classically trained musician Twyla Herbert, a flamboyant free spirit more than twenty years Lou's senior; this unlikely pairing would lead to Lou's success as singer-songwriter with Twyla as his co-writer (a la Neil Sedaka/Howard Greenfield). After "The Gypsy Cried" catapulted Lou to prominence, he followed this wildly successful solo debut single with "Two Faces Have I," which quickly nestled itself into the U.S. Top Ten and cemented Lou's unique singing style, the high falsetto that would become his trademark for all the hits that followed. Lou took on a vocal trio called The Tammys (Gretchen and Cathie Owens, Linda Jones) as his backup singers, retaining them as such until they disbanded in 1965; the CD Egyptian Sumba compiles the tracks The Tammys recorded from 1962 to 1964. After a stint in the U.S. Armed Forces, Lou returned to the recording fold in early 1966 with the song that would become his signature - his first #1 hit, "Lightning Strikes." The followup, "Rhapsody in the Rain," which was inspired by Tchaikovsky's Romeo and Juliet, peaked in the Top Twenty, a very respectable showing considering the song was clouded by controversy from the start - the times being what they were, Lou was forced to alter the original lyrics "we were makin' out in the rain" to "we fell in love in the rain" in order to achieve airplay. In 1969, Lou scored his third Top Ten hit with yet another fantastic falsetto-laden offering, "I'm Gonna Make You Mine." Since those heady years on the pop charts, Lou has continued to record and make personal appearances. His cool version of "Beyond the Blue Horizon" was featured in the 1988 Barry Levinson film Rainman, starring Tom Cruise and Academy Award winner Dustin Hoffman. During the last few years, Lou has performed in concert at New York's legendary Bottom Line on more than one occasion; a CD, Greatest Hits Live at the Bottom Line, recorded just a couple of months before the famous cabaret closed its doors, was released in 2004. Lou does concerts all over the country, often appearing on the bill with other 60's legends. 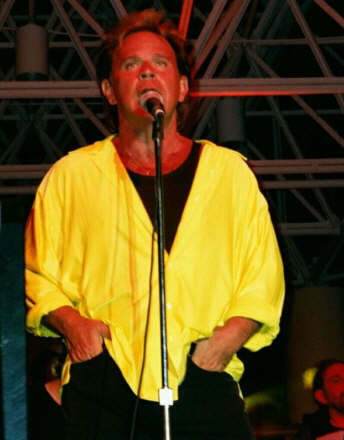 To find out what's new with Lou, to learn about new releases, check out Lou's concert itinerary, and order CDs, photos and other merchandise, visit his official site at www.lou-christie.com.